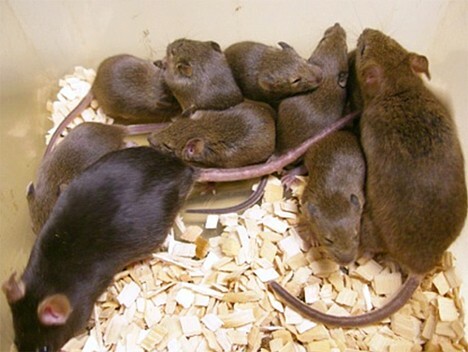 Mice cloned after 16-yr freeze — Mammoths next? Is the second coming of the woolly mammoth near? Possibly, say researchers at Japan's Institute of Physical and Chemical Research (RIKEN), who have successfully cloned mice from carcasses that spent years in a deep freezer. A RIKEN research team led by genetic scientist Teruhiko Wakayama successfully demonstrated a promising new cloning technique by replicating frozen laboratory mice whose cells were severely damaged after 16 years in permafrost-like conditions (-20 degrees Celsius). The technique might one day be used to resurrect mammoths and other extinct species, according to the researchers. Scientists have long discussed the possibility of resurrecting extinct animal species by cloning carcasses preserved in ice, but existing techniques do not work with dead, freeze-damaged cell tissue. However, the RIKEN researchers were able to extract nuclei from the ruptured brain cells of the frozen mice after breaking down the tissue in a culture solution. Then, using the conventional nuclear transfer technique (which involves inserting cellular material from the frozen mice into the egg cells of healthy mice), the researchers created embryonic clones from the extracted brain cell nuclei. After that, the researchers established embryonic stem cell lines from the cloned embryos, which they used to produce four cloned mice. 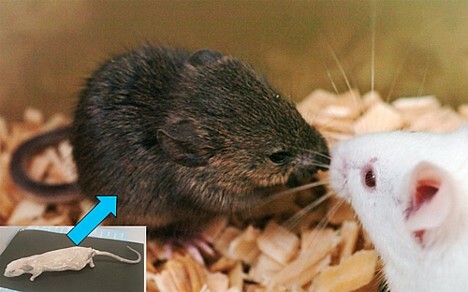 When the clones reached maturity, they mated with other mice to produce healthy offspring. The ability of clones to reproduce is a promising development for those interested in resurrecting extinct species. Mammoths top the list of extinct animals that scientists will try to clone, primarily because many preserved specimens have been found buried in ice. In July 2007, a well-preserved frozen baby mammoth discovered in the Siberian Arctic was shipped to researchers in Japan. "There are many technical challenges involved in resurrecting a mammoth," says Wakayama. "But we have shown that the nuclear transfer method can be used to create healthy clones, even when the animal's cells have been damaged by permafrost-like conditions." Meanwhile, Kinki University biology professor Akira Iritani is pleased with the development. Iritani, a leading member of the Mammoth Creation Project -- a Japanese organization that aims to resurrect the woolly mammoth by cloning frozen specimens -- estimates as many as 10,000 frozen mammoth specimens lie buried in ice around the world, waiting to be cloned. Iritani also coordinates the "Pleistocene Park" project, which aims to set up a Jurassic Park-like sanctuary in northern Siberia populated with resurrected mammoths and other creatures that roamed the Earth 20,000 years ago. The envisioned park would cover an area twice the size of Japan and include woolly rhinos, Siberian tigers, steppe lions, giant deer, ancient foxes, and ancestors of the Siberian horse. Amazing.... I write and research about belief in the supernatural and each year I have to keep revising what I mean by the boundaries of natural and supernatural phenomena. This sort of scientific discovery means that we have to be very careful when judging the limits or boundaries of what can be achieved. Utterly unbelievable.